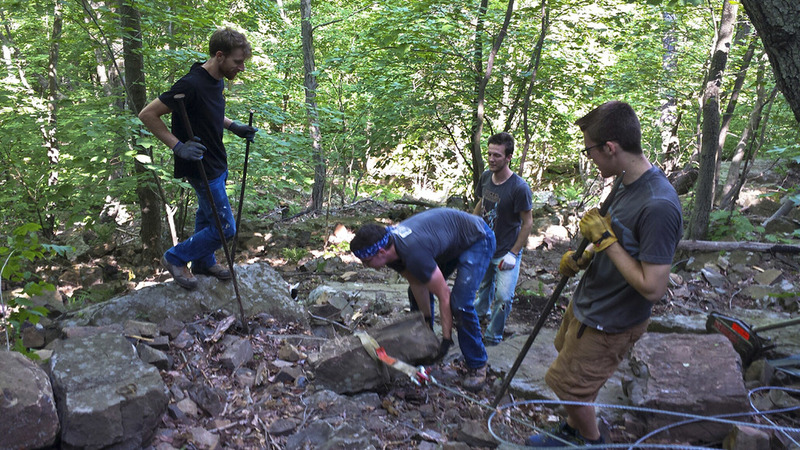 On May 28th the RMF Conservation Crew, with funding from an REI Stewardship Grant, worked in partnership with CT AMC to conduct trail work at Ragged Mountain. Our goal was to quarry and stockpile large boulders for the retaining wall we are building to support the trail at the base of the cliff. We had ten crew members running three Grip Hoists and managed to set a new crew record for the most stone stocked in a day despite temps in the 90’s. Our crew is comprised of volunteers from around CT that have made a commitment to get involved and give back to our crags. I want to thank local climbers, Liza Bocchichio, Ram Dealy, Jim Shippee, Matt Curry and Bobby Buchan, as well as Ellen Machalick and Glenn Waterman from Central Rock Glastonbury, Ross Ayer from Prime Climb and Kurt Zoner from CT AMC. 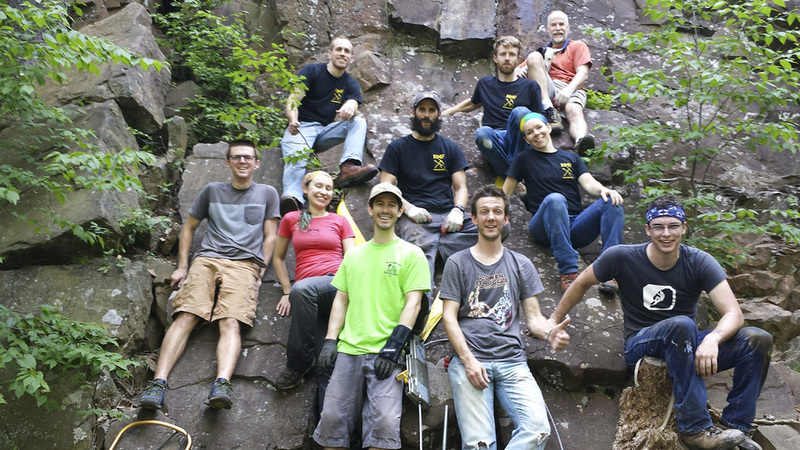 It is great to have so many dedicated volunteers from around CT’s climbing community. Interested in getting involved? Go to http://www.raggedmtn.org/conservation-crew/ for information and to sign up!